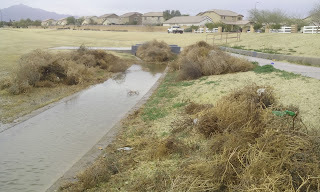 The Laveen Conveyance Channel, just a few hundred feet from our house, is one of the great features of Laveen. 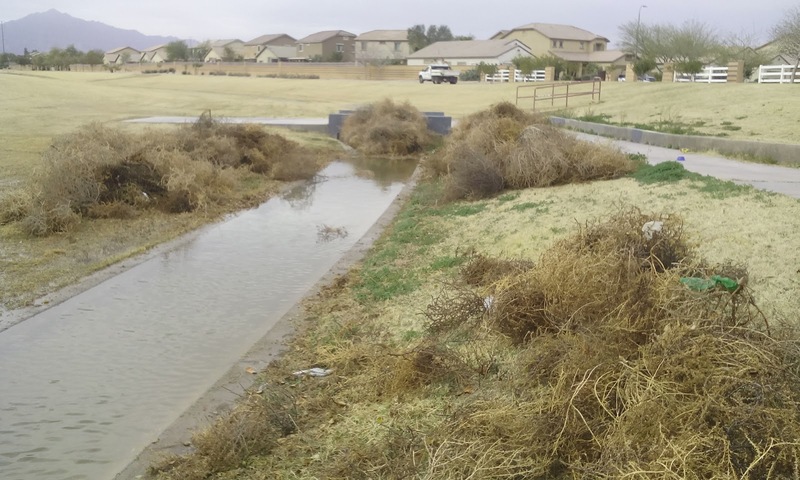 It is a 5.8 mile walking, running, and cycling path along a canal that runs with irrigation water most of the year, provides flood control when it rains, and during storms collects tumble weeds. 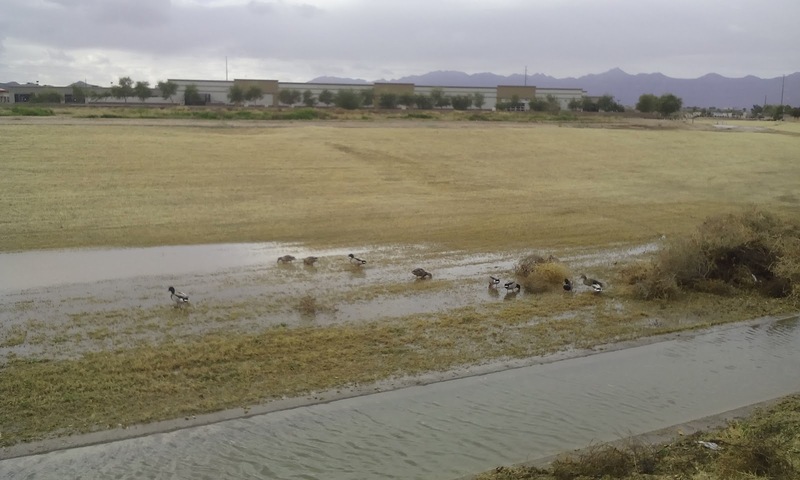 We had some significant wind with the half inch of rain that fell last night. 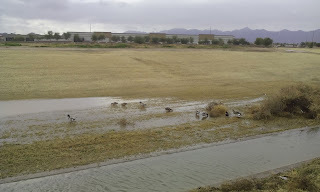 And as I was riding home from my first errand this morning I discovered the tumble weeds and ducks along the way.